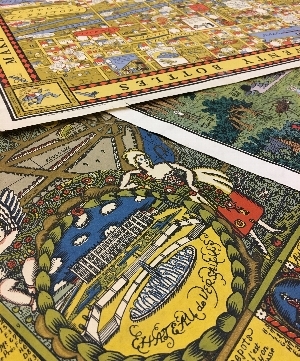 Thu, March 28, 2019 6:00 P.M.
Join Free Library of Philadelphia's Map Collection curator Megan MacCall for an exploration of the colorful art of pictorial maps! A popular trend during the 20th century, pictorial maps are creative and colorful, often imbibed with humor and historical narrative. The presentation will feature notable examples from the Map Collection with an opportunity for participants to view the maps firsthand.